Even if you do not say it, or realize it, mom does not need to wear a cape – she is a bona fide superhero in her own right. After all, how else is she going to juggle her career and family, and yet have to always carry this perpetual smile to ensure that the family grows up with sweet memories all the time? Perhaps it is time to get her a gift, and with all her collection of “World’s Best Mom” mugs, you might want to strongly consider something that is different, away from the well worn track. 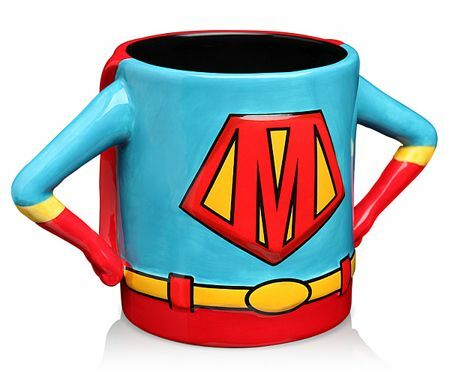 I am referring to this $12.99 Superhero Mom Mug, which can holds 15 oz of any super beverage. After all, super moms too, will need some sort of refreshment from time to time.